KCPT’s Nick Haines, executive director of public affairs and Week in Review host, picks out the big stories of the week ahead and the interesting stories you may have missed. In the last decade, the Kansas City Zoo has added a polar bear exhibit and a penguin attraction. Now zoo officials have set their sights on a destination aquarium featuring everything from sharks to jellyfish. The timeline calls for the saltwater aquarium to open in late 2021 or early 2022. It would be paid for through private donations and money from an existing zoo sales tax. But the city may be asked to contribute, too. A proposed resolution before the City Council would earmark $7 million from the recent voter approved bond election for capital improvement projects. Prepare to empty your pockets and go through a metal detector if you’re headed into Westport this weekend. After barricades and checkpoints went up last week, the final layer of the entertainment district’s new security plan launches tonight. Westport released a 19-page list of prohibited items you can bring into the bar and nightclub area. It included a ban on glow sticks, stuffed animals, violins and wizard wands. 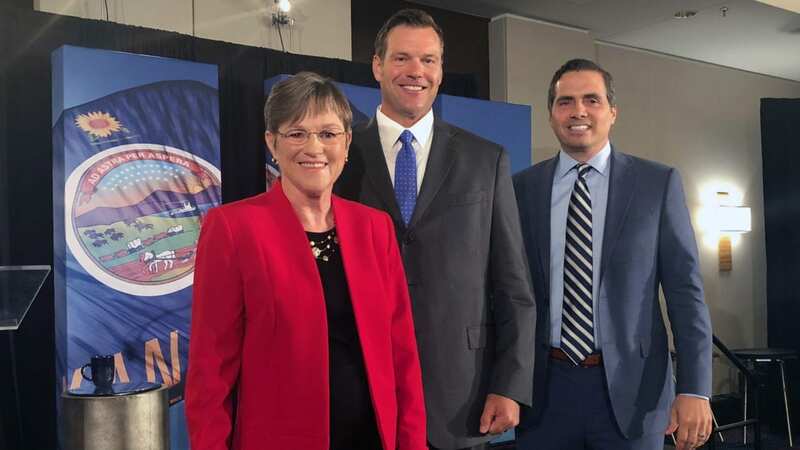 Bill Graves, the former Republican governor of Kansas, is creating a political stir as he declared he will endorse Democrat Laura Kelly in the fall election for Kansas governor. Last week, Steve Baccus, the chair of the Colyer for Governor campaign, announced he was supporting independent candidate Greg Orman over Republican Kris Kobach. This week, KCPT broadcasted the first Kansas gubernatorial debate. If you missed it, you can catch the rebroadcast Sunday, Sept. 9 at 10 am. Or watch anytime online. As confirmation hearings continue for U.S. Supreme Court nominee Brett Kavanaugh, Missouri Sen. Claire McCaskill is being closely watched by news organizations and political writers across the country. McCaskill is one of a few red-state Democrats whose vote could be critical to deciding whether Kavanaugh joins the nation’s highest court. But she has yet to announce how she’ll vote. McCaskill, who is locked in a close race for re-election, was one of a handful of Democrats in the Senate to meet with Kavanaugh before the hearings got underway. A state of emergency has been declared in Manhattan, Kansas, after what local officials call a “500-year flash flooding event.” Nine inches of rain in 12 hours caused a creek to burst its banks and flood the Kansas college town. More than 300 people were forced to evacuate their homes, including some who were ferried to dry land in boats. Kansas State University’s main campus in Manhattan wasn’t flooded, but a help center has been set up for displaced students. Seven years ago, UMKC was making local headlines as it announced plans to build a brand new downtown arts campus. It became one of the KC Chamber’s “Big 5 Ideas” for moving Kansas City forward. This week, Kansas City’s hometown university officially abandoned that quest. UMKC officials now say they plan to build a new conservatory for theater, music and dance on or close to its main campus. Last year, Missouri lawmakers approved up to $48 million in bonds to help finance the project, but the money was vetoed by then-Gov. Eric Greitens. Last month, Kansas City, Missouri, voted to approve a new rental inspection program designed to protects tenants in unhealthy and dangerous homes. This week, the program begins. If Kansas City renters have a complaint about conditions in an apartment or house, they can call 3-1-1 or 816-513-6347. Renters can also take complaints into the Kansas City, Missouri, Health Department at 2400 Troost Ave. Officials say they will respond within 48 hours. Nick Haines hosts KCPT’s primetime public affairs show, Week in Review. The show is on a hiatus this week, as KCPT is in a funding drive, but catch the next broadcast Friday, Sept. 14 at 7:30 p.m., and the rebroadcast Sunday at 11 a.m. on KCPT.